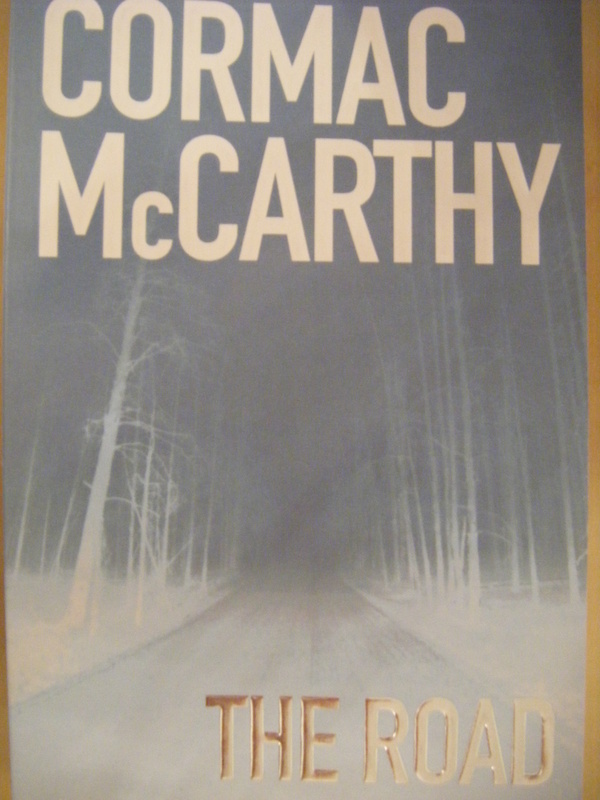 The Road by Cormac McCarthy is a harrowing read. A father and son battle to survive in a post-apocalyptic America. The earth is scorched by an unknown disaster and the air is full of ash and smoke. The pair have little resources and are in constant danger of being attacked by wandering bands of cannibals. It is an interesting book for a number of reasons. It explores the strange urge all humans have to survive even when it doesn’t make much sense to continue. The language is pared back completely, there is not much description in the book and also the characters don’t dwell on any incidents, like they journey they are on; they keep moving forward, never looking back. The relationship between the father and son is an intimate one, the father constantly juggles whether or not he will have the courage to kill his son, if the time comes that no other option is left. Both characters have no name, I think this gave their character development more focus.The fear of being caught by bandits is deemed worse than death; people become enslaved or are eaten by their captors. The son is constantly looking to his father for guidance and support to cope with the horrors he sees every day. The only focus in the book is survival, no other thoughts or themes are explored as such. I found this protective relationship the father had for his son grating at times. The father was a near perfect guardian, I would have loved to have read more passion or mundane arguments that go on between family to give their characters more depth. McCarthy’s use of language is strange in the book. The wordplay is very simple, there is no elaborate descriptions or dialogues. The dialogue between the father and son is monosyllabic at time. Simple questions are asked and simple answers are given. I think this reflects the world they live in, there is nothing complicated about their existence or story, they either survive or die. There is little punctuation and grammar at time in the book which can be annoying at times. The paragraphs and conversations sprawl down the pages which sometimes disrupts the reading of passages. I enjoyed the way author never built up certain incidents in the story, they just happened out of the blue, were dealt with and then the story moved on, never to be revisited. The Road is an excellent read. It lacked complication or underlying stories. Everything is told in black and white. The tale of survival is a horrific one, some scenes described are very disturbing. It is also a book which could be read easily in one sitting, it is a compelling and short read. It poses many questions about human nature and how far into depravity will people go to survive. Follow my book reviews please? I review rock and roll autobiographies. I found The Road to be an interesting read, but I don’t really know if I enjoyed it! I think you are right, the writing style reflects the world they live in – but for me, I don’t think it engaged me enough. Have you seen the film? I thought it was a great adaptation of the book – captured the same kinds of feelings. Ye I saw the film the other night it is a really good adaptation. It is horrific when they open the basement to find the slaves in that house! Is there any other books similar to this you have read? Thanks I’ll check it out! One flew over the cuckoos nest was the only film I thought beat the boo version. It’s rare enough! Very nice review! I like how you analyzed many things so well, but to call this book an excellent read is an understatement! 😀 It was super-excellent! It made me just so annoyed because it never told what had happened and no names, just the road. The journey.I thought it would be revealed in the end but it wasn’t and it made me crave for that knowledge. I loved The Road. Cormac McCarthy is an amazing writer. One part in this book always puzzled me. In my copy it’s on page 87 where for one paragraph, the narration slips to first person. Any thoughts?